Wind of change is sweeping over the small businesses landscape led by powerhouse technological innovations such as artificial intelligence, blockchain, and IoT. In fact, the new-age technological innovations looks promising enough to turn around the healthcare space as well. 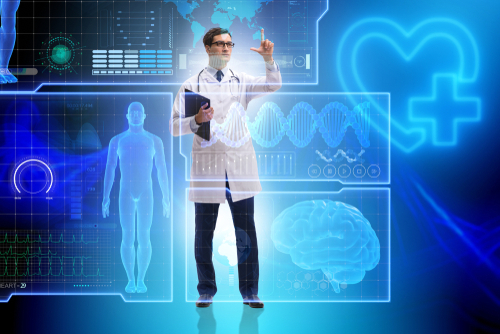 Healthcare technology advances are making waves. For instance, in the near future, doctors would pay virtual visits at your home. Cancer patients, in all likelihood, could bid adieu to their gruelling radiation therapy process. Medicines would have minimum side effects. And this is just the tip of the iceberg. So, if you are a healthcare service provider looking to offer the best of the services to your patients, it’s high time for you to adopt these technological innovations, without much ado. Artificial intelligence (AI), combined with machine learning, is transforming the healthcare sector, big-time. The role of AI is to aid scientists to develop new AI software solutions in the shortest time period possible; while machine learning algorithms help researchers to process and analyze information really fast. One of the major findings of AI is the Genomic Sequencing Technology for Cancer Treatment. Powered by AI, the genomics technology could significantly cut down the need for radiation therapy in cancer patients. In fact, healthcare experts are predicting that genomic sequencing technology would be revolutionizing every aspect of cancer treatment. For instance, new cancer treatment methods are being developed based on genomic alteration rather than where tumors are present in patients. The best part? Genomic sequencing technology will allow researchers to figure hundreds of cancer-related causes and issues. In fact, the same technology could be harnessed to develop genomic-based medicines for various other illnesses. 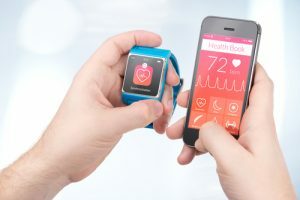 Internet of Medical Things, also referred to as Healthcare IOT typically comprises a small universe of several medical devices and software applications that come together to offer streamlined services to customers. For example, Fitbit track steps that typically get tabulated on your iPhone, which, in turn, uses Bluetooth technology to do so. The data is then shared with your family physician who offers his feedback via Wi-Fi connection. If need be, the data even gets shared with your closest friends and family. 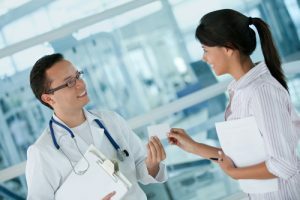 IoMT offers immense benefits to health care providers, and in fact, several more benefits could be discovered in the long run as we continue to specialize in this space. The devices are quite capable of recording and reporting activity at the level of the nervous system. 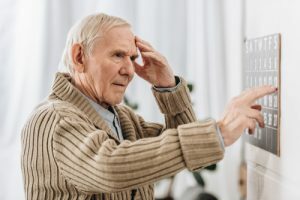 That is, you don’t have to rely on patients’ words as to “how they feel.” Rather you could rely on the objective evaluation offered by the devices in terms of disease progression and patient therapy efficacy. Patient accountability would increase as the doctors would have complete data as to whether or not the patient is following the prescribed therapies and not just rely on the patient summary. IoT’s recording capabilities allow health care providers to accumulate data of the patients’ right from the beginning. Such data accumulation will help them understand major diseases, better. This will help them improvise their approach in terms of disease prevention and therapy. IoT devices could steer stimulation to a specific area in the body where the medication is precisely required. Yes, that’s the level of precision we could achieve with IoT devices. For example, if you take a pill, it gets metabolized and distributed throughout the body and not just the intended are. Such precision could help decrease drug-related side effects. The automation of records could help minimize human errors in terms of health care reporting. Blockchain technology is gaining grounds because it’s independent, transparent and permanent by nature. The data shared on blockchain could be accessed from multiple locations and shared by a community. That’s why it’s referred to as mutual distributed ledger. 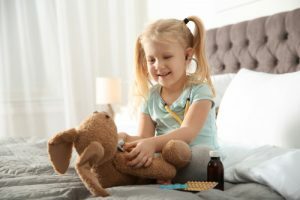 So, how does blockchain apply to the healthcare industry? The basic purpose of blockchain is to offer decentralized record system and it is independent of Electronic Medical Record Systems (EMRS) controlling the data. The EMRS have their own limitations. For instance, in Boston city, there are 26 different electronic medical record systems. Which means all the important information is scattered across several places, which, in turn, means the required information isn’t available when it is needed the most – leading to loss of lives and money. This is where blockchain could help. 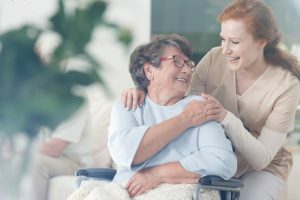 With decentralized record system, the patient could literally keep the data handy and use it whenever the need arises. Further, medical records cannot be changed in the blockchain. These ways, the integrity of the medical record is maintained. However, for this to actually happen, the health care providers need to get a government mandate or will have to wait for EMRs to open their data silos. For blockchain related guidance and assistance you could seek help from top blockchain development companies. Technology has been more of a friend than foe, especially for patients in the healthcare sector. The Genomic Sequencing Technology could prove to be an absolute saving grace for Cancer patients, while the precision medication is sure to give patients a relief from side effects. Plus, there are several other breathtaking technological advancements that are sure to astound the technological community in the coming years, it could be the non-invasive diabetes monitoring developed by Apple or 5G Mobile technology that would see doctors visiting you virtually. This is Jennifer Warren, staff writer at GoodFirms – a review and research platform for top ecommerce development companies, blockchain development companies among many others. A bookworm at heart, I have successfully guest blogged for top sites such as Crazyegg, Semrush, Searchenginepeople, Sitepronews, Volusion.com, Socialnomics, jeffbullas, mediapost among others.